here is an excerpt from an article i wrote about making a doll with the g.g. granddaughter of comedy's legendary stan laurel. in 1984 i was found in attendance at an girls' high school in cincinnati, ohio. a second year of fundamental art filled a vacant spot in my class schedule. the curriculum was working with different media through out the school year. we were assigned to create a soft sculpture dolls from nylon hosiery and to dress it with cloth. the figures were to represent a famous person using a needle sculpted approach for the face. with out any particular person in mind i began by making a large grapefruit looking ball and frantically working the needle in and out of it trying to get something, any thing- that resembled a face! finally it started to look like a little stout man's face...i thought and thought, and some one said "oliver harty"...yes! that was who it would be...then, realizing that just oliver harty by himself wouldn't be enough, and facing the possibility that i might have to make two dolls. after a few weeks we came up with two rather convincing likeness-es of laurel & harty. they were dressed in felt, mine wore blue overalls and a red shirt with black shoes. i seem to remember buying him a little derby felt hat to wear. hers, i recall, was similarly dressed. the pair of dolls even made it to the display case for the parents open house nite. now years later. looking through the old year book i am unable to find her, the grandchild of stan laurel, with whom i made what i believe to be my first "real" doll. perhaps those little dolls could have well been one of the seeds that began my love of (primitive)dolls.... funny how seemingly unimportant things and events can come full circle, resurfacing with new found significance in later years. wish i still had that doll ! a letter from frannie about a box that arrived from gloria bowlin for the trunk show!
" Well -- she's gone and done it again! Gloria Bowlin from The Crow and The Weasel -- sent more of her wonderfully primitive dolls for our "Trunk show"
-- and she sent me a gift that is my absolute most favorite! A PUDGY PIXIE!!! (I collect "fairies, because I have a story that I tell to all the children who visit Crooked Tree Hollow about the 'fairies that live in the hollow of the old crooked tree' -- they are "memory keepers" and "story tellers" -- (will write it someday) -- but want to tell more about my Pudgy Pixie! She is ever so PRIMITIVE and she is filled with 'forest treasures'. Her little poem reads: "Too big to be a fairie ... not quite a gnome. This nature-loving pixie's -- in need of a home. Said: 'living in town .. is too much to swallow. I "collect" patterns -- must have a million of 'em! Don't often make them -- just love to have them for "inspiration". 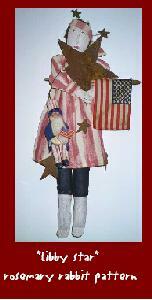 I usually only make "one-of-a-kind" dolls (sometimes there is a "similar sister" or a "couple cousins" though). I HONESTLY don't believe that I create my dolls -- I can have somewhat of a "concept" of an idea for a doll (now, how's THAT for a garbled gobbedly-gook sentence) -- but when I am nearing completion of the doll -- there comes a moment when I feel the awakening of her soul --she takes on an identity all her own. I smile and she introduces herself -- and most often she is not at all who I thought she was going to be! My dolls use my hands to make her -- but it is her heart that does the true creating. (I know all this sounds 'gushy" -- but it is exactly how I really feel). DRIED MATERIALS: when properly sealed dried items such as nuts, poppy seed pods and other pods, pomegranates, lemons, and miniature gourds make interesting heads. walnuts are fun, they are all "wrinkled" and the nut forms a natural facial shape including a little "nose". nutmegs are a little smaller and would be interesting stood on end or used long ways. black walnut trees drop many immature husk-on "baby" nuts that dry to a nice black color and also make a preformed head complete with what resembles a nose. buckeyes too would be interesting doll heads. i like to dry all natural materials thoroughly, then freeze for a few months to prevent critters from showing up, also use a spray sealer when the face is complete. the poppy is a favorite for angels, due to the built on "halo". also worth a try -milk weed pods(there are several types-these would look like a moon head), even lotus (more of a triangular shape with lots of small holes in the top). pine cones and rose hips are also a possibility. several of you have mentioned using chickpea /garbanzos to make tiny dolls. these days you can purchase many types and sizes of lemons, oranges, pomegranates even pineapples! painted with a face or left plain these are perfect for those mis-shapen heads we like to call primitive. the pomegranates even come in several sizes these days,the smaller are known as "star" poms. gloria bowlin of the crow & the weasel has a pomegranate peg angel pattern and another called snowseed this snow man has a painted dried orange for a head. pomegranates are even used as a base to papier mache over. yes, mama said not to play with your vegetables,but i say "go on ahead!" . i guess a gourd is a member of the squash family and there are tons of possibilities here- you can bring those mini decorative ones right home from the store and dry them in a cool dry area of your home. they will mold some so don't be alarmed unless they start to wrinkle up and become squishy. 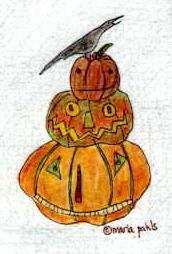 the stem/neck of the gourd can be a nose,tucked under a hat or made into a hat or act as the doll's neck. 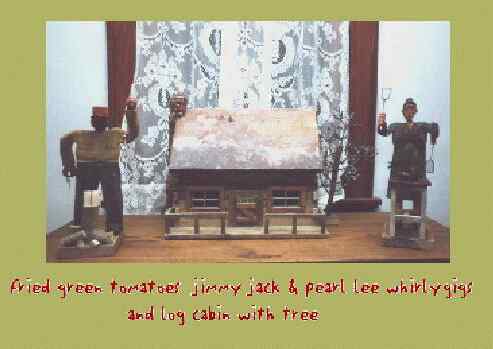 they are easily wood burned, painted and stained. other freeze dried veggies that are available include artichokes. what fun to make a head of any sort from this goopy stuff! brings back memories for sure. you can use a styrofoam or wood base to get you started or build your own from playdough or polymer to begin building your head. it also works great over the top of fabric. this stuff when dry is paintable and has a nice texture. 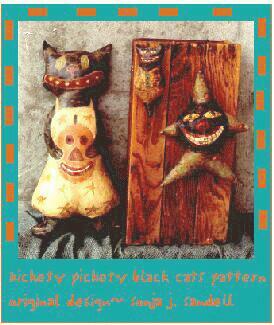 sonja of hickety pickety suggests painting your item with white glue before applying papier mache to it. my recommendation would be to drill a small hole where the neck would be and insert a dowel rod that would be inserted into the body this could be secured with thread by gathering at the neck. with gourds,using the stem side as a neck is a good idea,in this case i would drill a small hole that goes thru the neck to pass the needle thru. for the papier mache,i would suggest that you attach a dowel if you are covering a wooden or styrofoam ball before adding papier mache or just mache over cloth body where the head is already attached. by far one of the most important steps. using a clear matte spray or shellac the head should be coated one or two times to protect it. the papier mache could be sealed with acrylic paint. once you make a "what's it's head" you may never look at the super market the same way again! these are just a few ideas to get you started ~ and the hardware store would be a great place to look too! marcie of shack in the back has a doll called scarecrow that has a watering can for his head! seed pod note: i thought maybe they were used in the same way as a weather vane to show the wind's direction, or maybe to scare off vermin or birds from the garden... but i am finding out that they were and are mainly for decoration. generally a whirly gig has one or more windmill type propellers to catch the wind. in turn the propeller powers the action of the whirly gig. many times these were wood carvings or metal cut outs of people performing tasks such as laundry or sawing wood. ~ or the propellers powered an animal such as a chicken pecking. the range of items, media and movements of the whirly gigs were widely varied. "Are the weans in their bed? for it 's nou ten o'clock." William Miller (1810-1872): Willie Winkie. G52-040 "Libby Star and Sam"